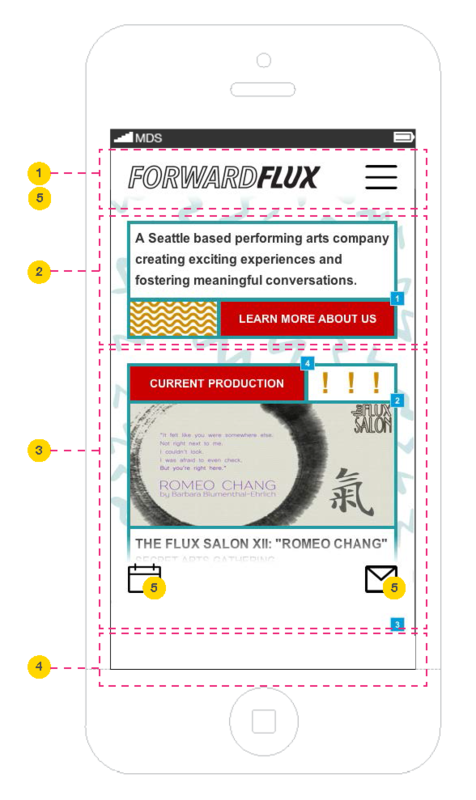 Forward Flux :: Allison B.
I was part of a three person UX design team who worked with a live arts production company called Forward Flux. 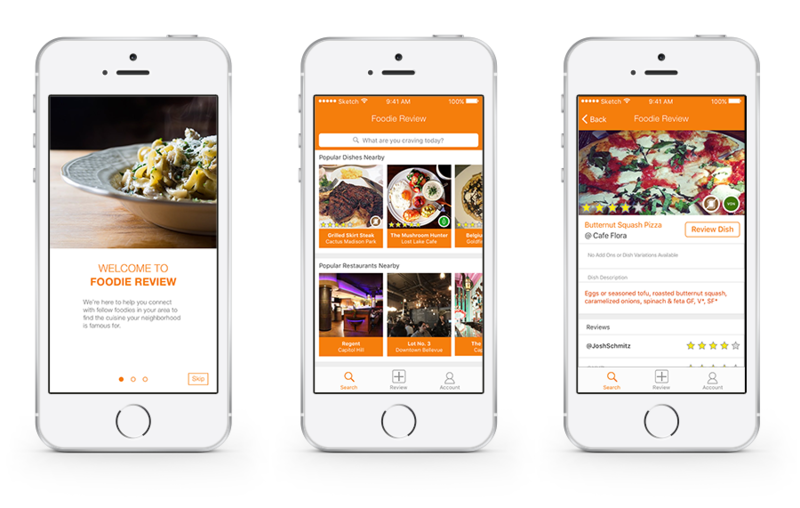 The heart of their work lies in their desire to create a space for community and conversation. 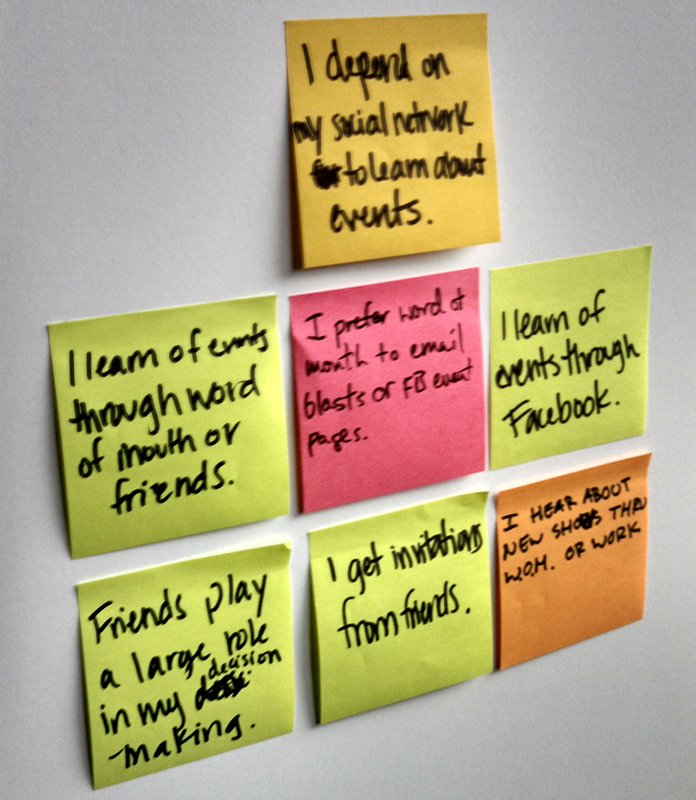 Our goal was the help users learn about Forward Flux and drawn in new users outside of the theatre community. 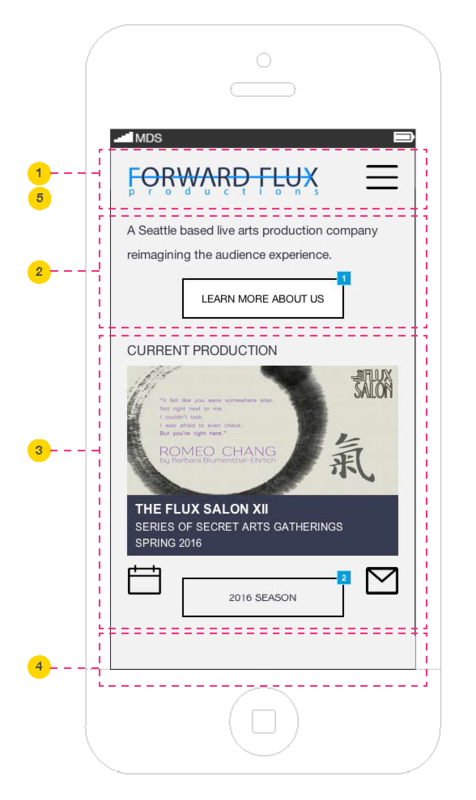 Our solution was to improve the Information Architecture of the website, strengthen the global navigation, and investigate visual design that more appropriately aligned with the identity of Forward Flux. 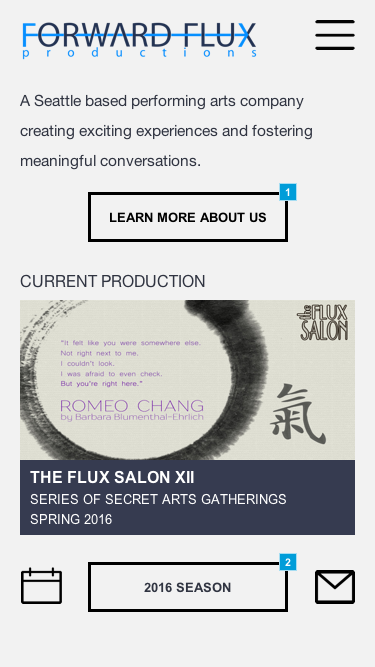 Users needed to be able to quickly find information in order to build trust and purchase tickets to Forward Flux events. 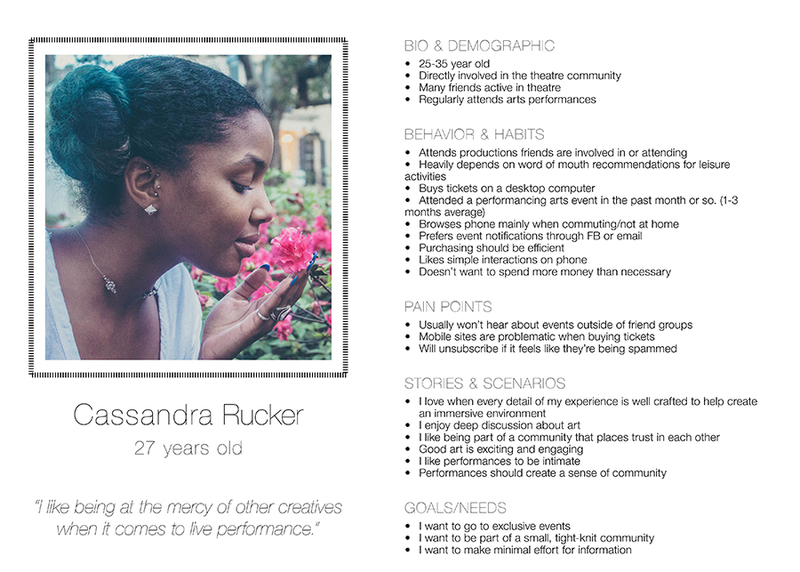 Here we were able to develop our persona, Cassandra. 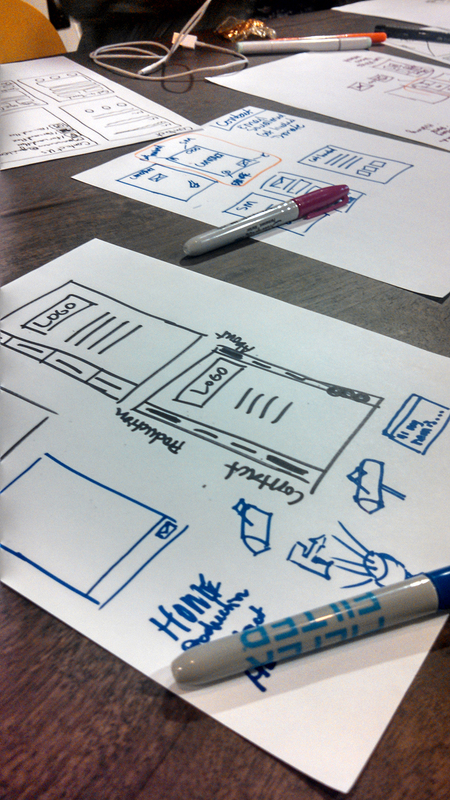 With a strengthened IA and global navigation, we moved to the design phase to test our solution. 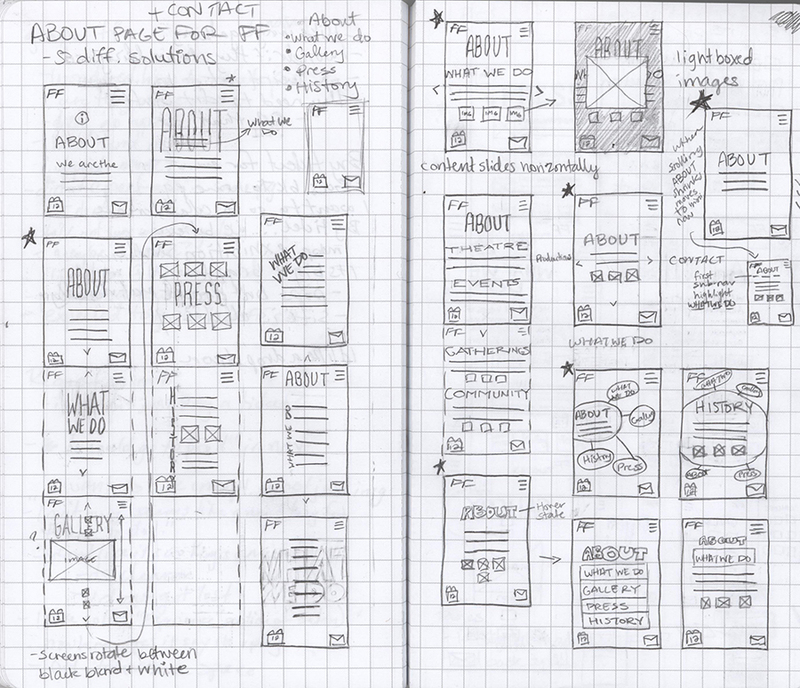 I focused on simple UI sketches to make sure the content was the driving force behind the layout. 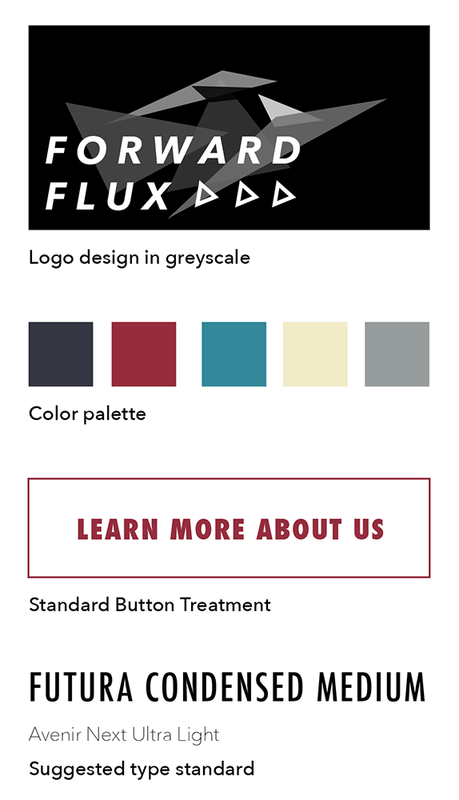 Design phase 1 - Using the existing Forward Flux visual aesthetic, we focused on setting standards to strengthen hierarchy and clarity of content. 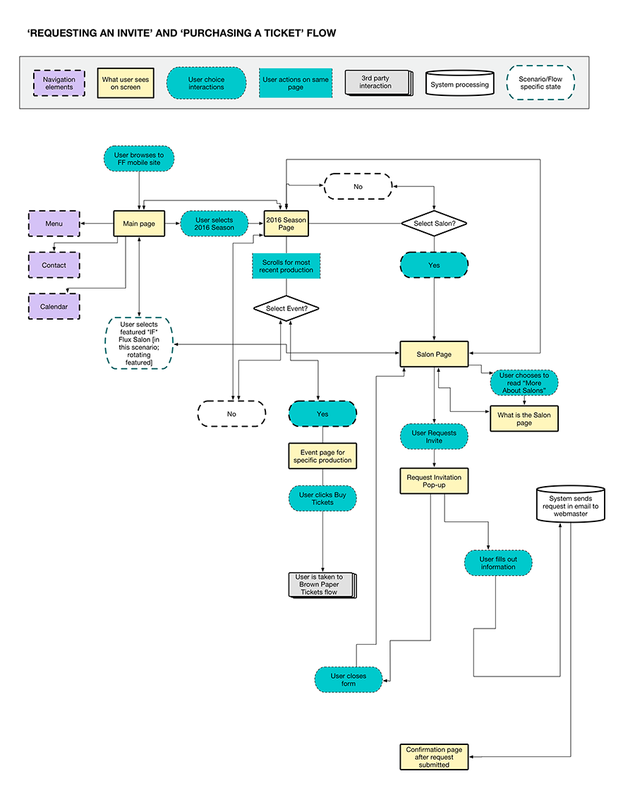 This phase is for immediate application to the current site. 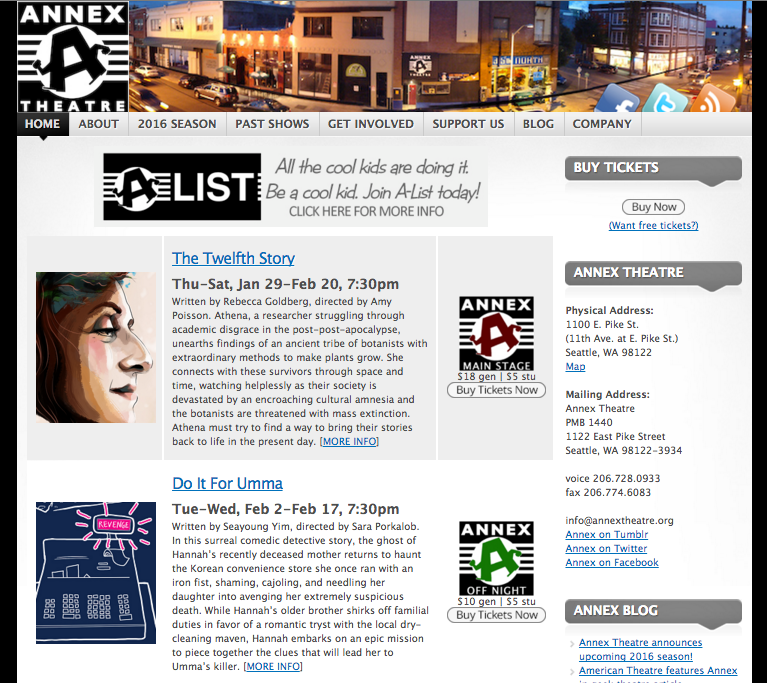 Design phase 2 - To appeal to audiences outside of theatre, we created a design aesthetic that attempted to address the "edgy" factor our stakeholder strived for. This phase was presented as a more long-term approach. 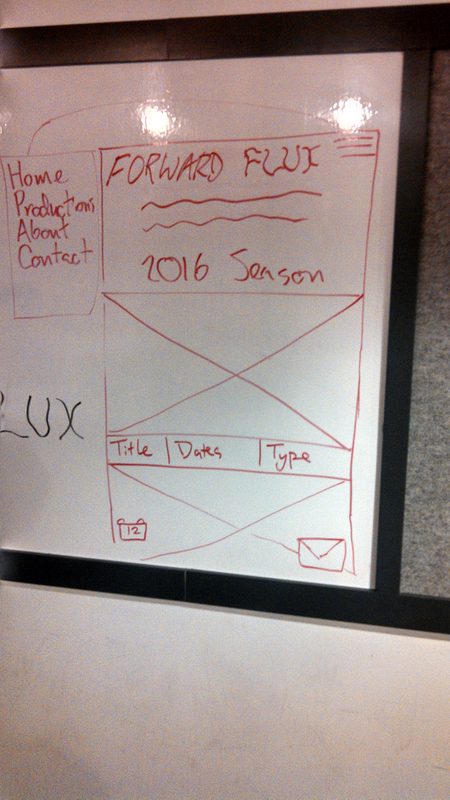 I expressed the need for visual standards that would help create a stronger design across the mobile application. 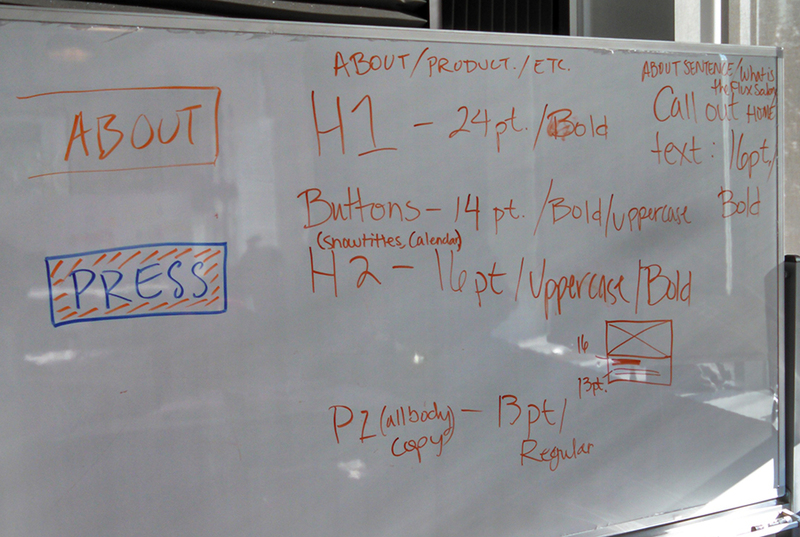 These standards were also organized in a spec document provided for the client. "I want to know why I need to request an invitation. Without that I’m getting a little uncomfortable." 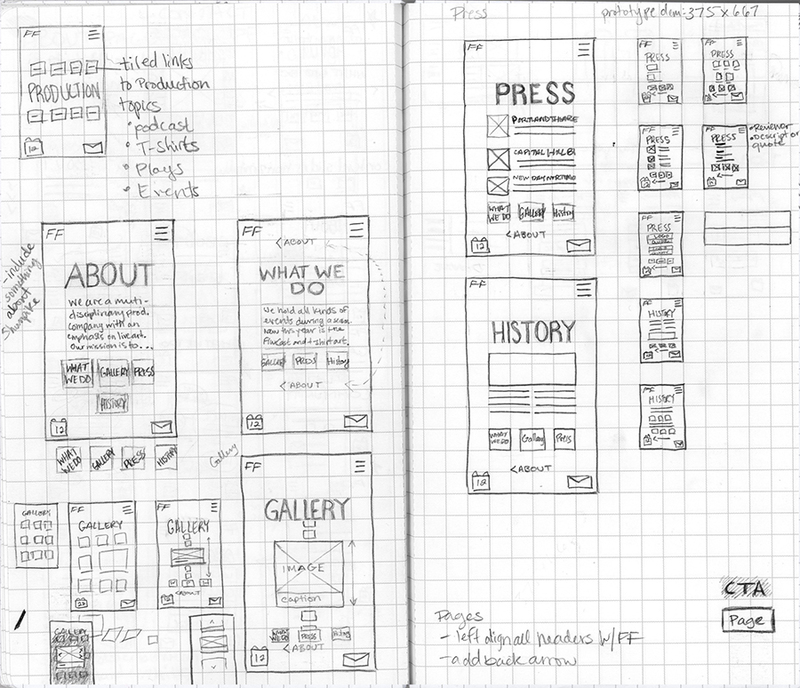 We revisited our first iteration prototype and determined that refining the language of the content was in order, to help users understand who Forward Flux was. 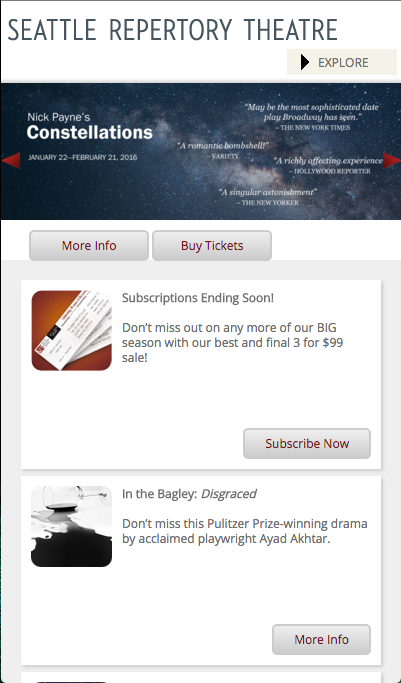 We also implemented a significant visual departure from the current Forward Flux site, to test whether we could improve the "edgy" quality Wesley was seeking. 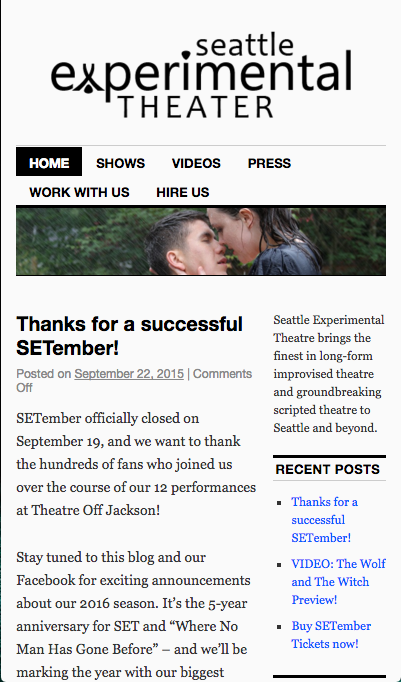 I researched the web and mobile presence of experimental theaters in Seattle. 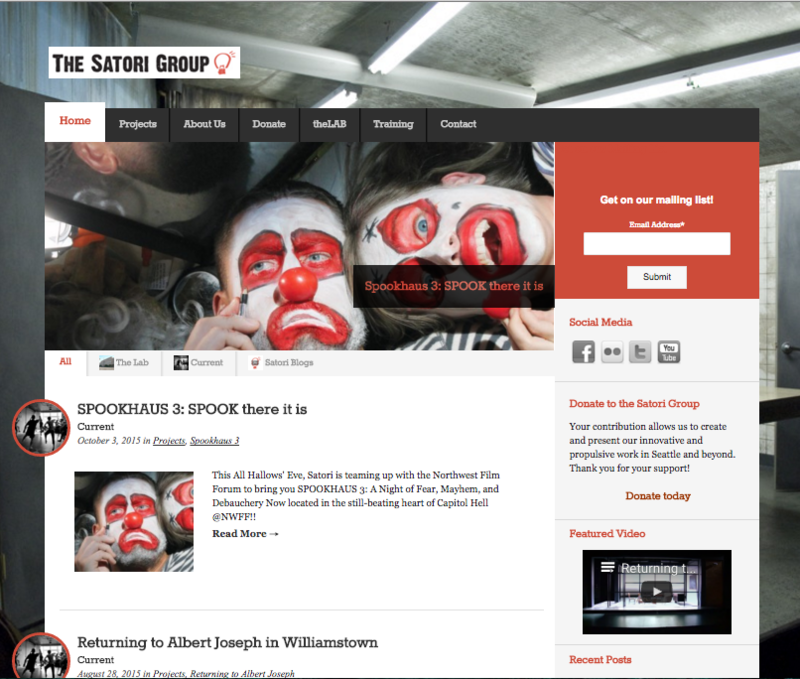 From my research, I found that The Annex Theatre and The Satori Group had sites that did not translate to mobile. 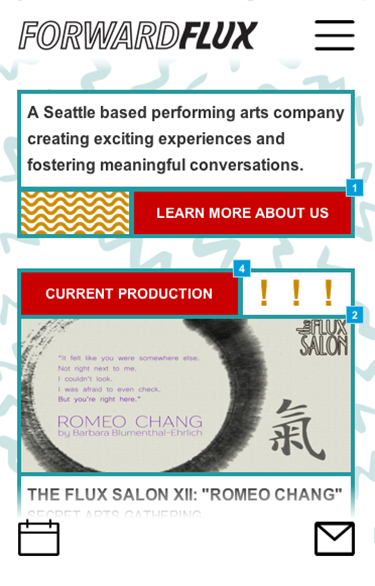 The Seattle Experimental Theatre and and Seattle Repertory Theatre had responsive websites, but lacked a visual language that communicated their missions. 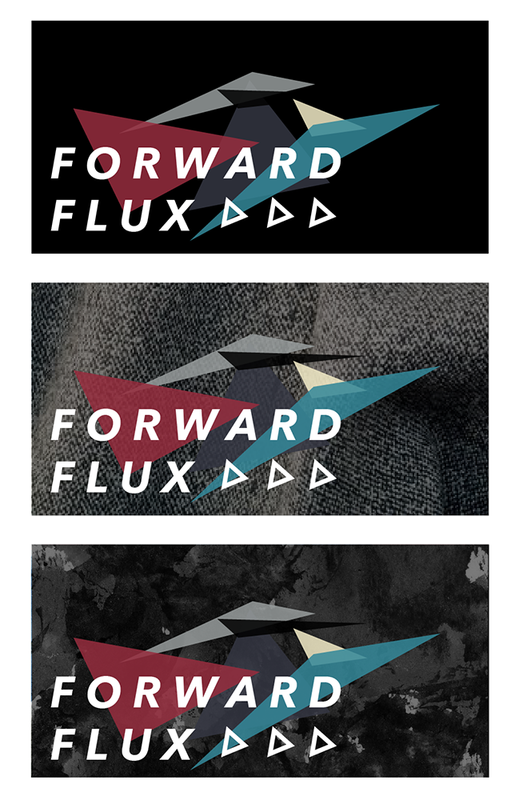 I studied the existing Forward Flux logo and branding to look at new ways to communicate Forward Flux's mission of creating conversation around contemporary topics not only through performance art, but fine art, music, apparel and new mediums like podcasts.